If you regularly scroll through your social media feeds you will know that the fancy Pooh memes have taken over Instagram, Facebook and Twitter. And why not? They are hilarious and precise. We all know Pooh, the Disney character who has been a part of our childhood and now adulthood as well. We have seen how regular Pooh looks like, but have you seen Fancy Pooh? He is one hell of a perfectionist who can make everything sound posh. Classy, Fancy Pooh is everywhere on the internet and rightly so. He is so classy that he might even make you feel utterly mediocre! LOL. Unsettled Tom Memes are Going Viral: Here's A List of The Funniest Ones on the Internet! These memes usually include a comparison between something that can be said or explained in two way, one normal and another in a classy way. However, these comparisons come with the most unexpected twist. You got to check the memes out to understand. You read it differently, didn't you? Which one is your favourite? 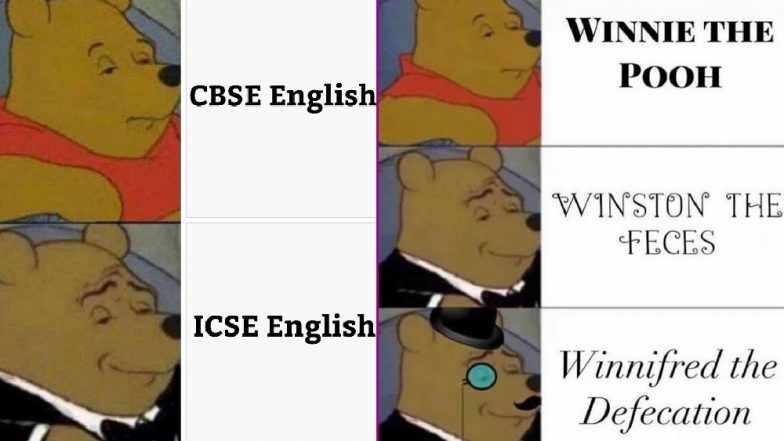 Some of the Winnie the Pooh fancy memes are really over-the-top but nevertheless, they are super hilarious. Can't wait for more such memes.